These are exciting times for wood design. 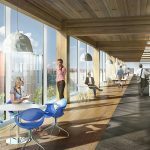 New products and systems, advancements in manufacturing, more progressive building codes, computer-aided design, integrated project delivery, and the design community’s focus on sustainability and renewed appreciation of timber construction have given rise to an incredible new generation of wood buildings. 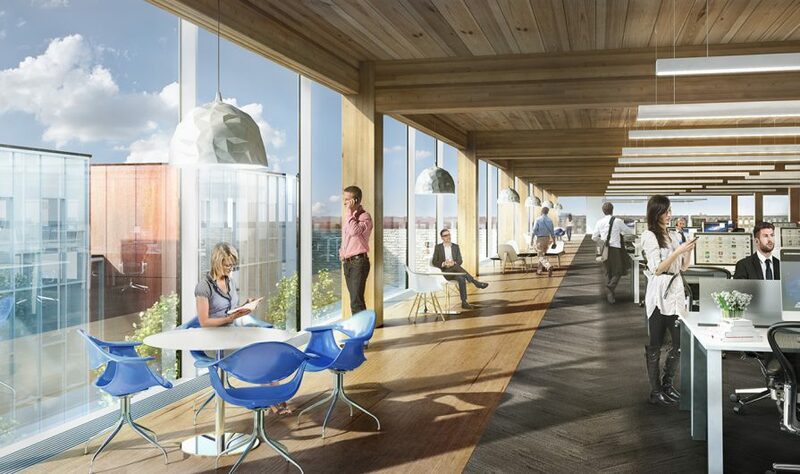 Design professionals around the world are using wood products and systems in an ever increasing array of building types and applications and the media is awash with stories of bigger, better and taller wood buildings. 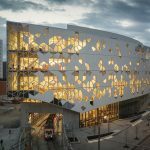 Amidst the rapid succession of timber buildings making global headlines, over the next year we are going to present a series of short articles that will offer a closer look at a single building during the course of its construction. 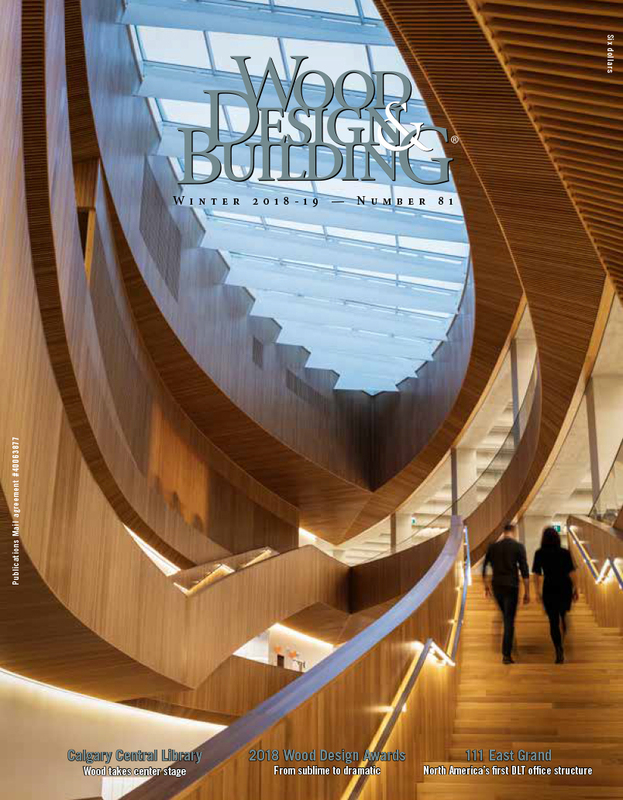 Though this serial profile will offer insight into just one building, it is symbolic of the many projects being built in wood that are accelerating innovation, changing attitudes about wood construction and improving the way we build our communities. 80 Atlantic is a five-story commercial building in Toronto, ON. It is four stories of heavy timber construction above a one-story concrete podium. 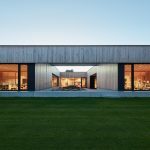 The exposed wood structure is comprised of glulam columns and beams with nail-laminated timber (NLT) panels. NLT was selected for its simplicity, aesthetics and economics. 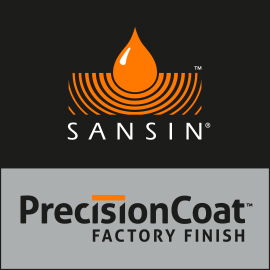 The wide range of products available today makes it much easier to select a wood solution tailored to meet specific project requirements. 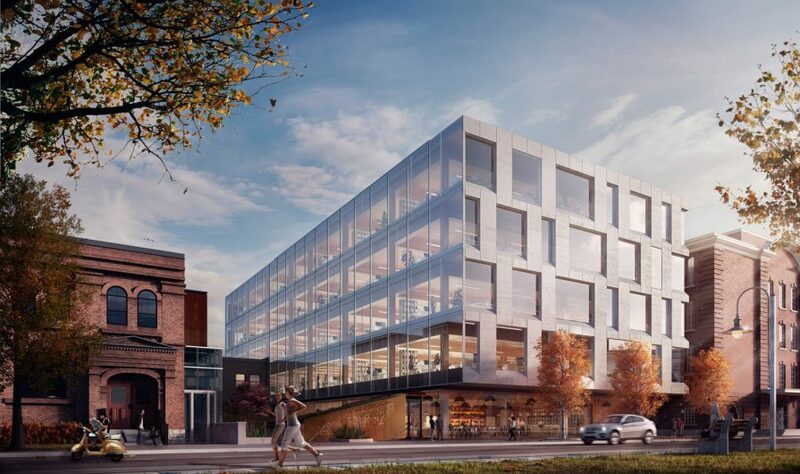 80 Atlantic is a modern take on the iconic, century-old brick and beam warehouse buildings that are being adapted for reuse as offices, condos and studio lofts in major cities everywhere. These renovated old buildings are highly valued for their character and versatility, and they command a premium in the marketplace but, although the structures are as robust as ever, they require extensive upgrades to overcome building envelope performance issues (they were built without insulation) and other challenges. Once completed, 80 Atlantic will deliver all the desirable attributes of these old buildings – an exposed timber structure, tall ceilings, heaps of character, and versatile spaces – with none of the problems. 80 Atlantic completely reinvents the construction method by employing the newest materials, latest sustainable design strategies and innovative construction processes to deliver a modern, high-performance building that is built to last. For example, the project will have raised access floors and engineered plenums to house mechanical, electrical and telecommunications services. This design enables workspaces to be easily reconfigured as required and housing these services in the floor results in an exposed wood ceiling uncluttered by services. The HVAC ducts, also in the engineered plenum, will provide an effective, locally customizable and healthier distribution of air. 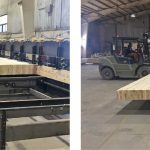 Interestingly, the floor plate construction hearkens back to the original warehouse flooring method – where solid sawn lumber was ganged up on edge and nailed together on-site – but with a significant upgrade. 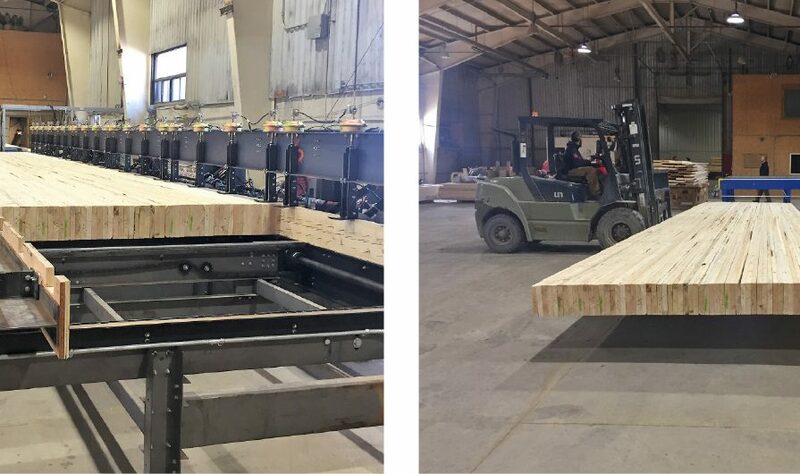 Instead of being built on-site, the nail-laminated timber in this project has been panelized and machine fabricated off-site in an indoor facility, a process that minimizes waste, improves both quality and efficiency, and shortens the construction schedule. Although the province of Ontario’s building code was amended in 2015 to permit wood construction as tall as six stories (up from four), the planning and approvals process for a new building of this size can be lengthy, so when it comes to mid-rise buildings in wood, the city is still in the early adoption phase of mid-rise wood construction. 80 Atlantic is one of the first commercial buildings of this height to go to construction in Toronto since the code update, though there are now many mid-rise wood buildings in the design and development phase. 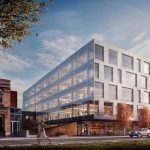 The coming surge in wood projects like 80 Atlantic is encouraging because the benefits of wood construction are so significant. Design solutions that incorporate wood products from responsibly manage sources can significantly lower the carbon footprint of any building, reduce our dependence on non-renewable materials, and provide warm, beautiful, human-centered environments people love and which last for generations.